On our way to the Veiligheidsdag in Hardenberg we got a tweet from Dares Noord Nederland that the had they station up and running.at 7.077. 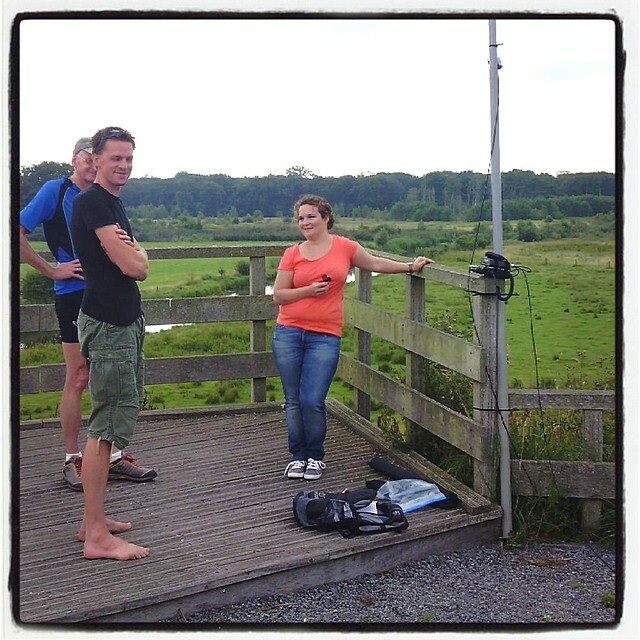 So we pulled over to the Distelbelt (Diffelen) setup a fieldstation and made a QSO with them. 59 in the pocket :-) Offcouse there were people who had questions about what we were doing so me and xyl Eva took all the time to answer them. One of them was Jaap Schuurman and his questions ended in a interesting talk about technology, ICT, photography and journalism (check-out his website). The setup : FT817nd with DIY 20m Endfed and Z817 tuner. After a phone call from my parents that a friend of the family would be visiting us with his family and they needed a extra sleeping place all plans for that day came to hold. I cleaned our house, made up a bed for the visiting friend (the modelrailroad shelf of my son had to be removed which was on top of the bed) and did all the shopping for evening dinner (from 2 people on the table to 8 needs a little more food). 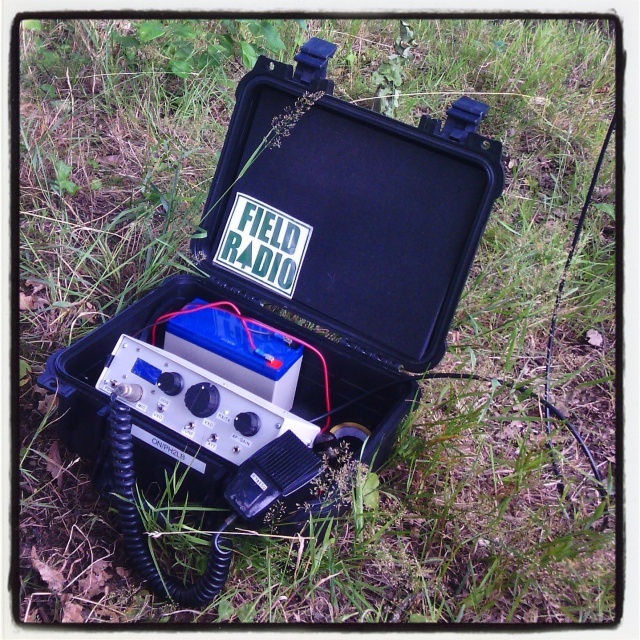 But when all that work was done, I took a moment to have a small fieldday with my ILER20 in a field near my house. I Was supprised that a contest was going on, so it was a good opertunity to test out the ILER20 in the field. Quite a few qso's are added to the /QRP log and with a power of just 3W. The setup : ILER20 MK2 with DIY 20m Endfed. Extra 12V 7Ah battery as aditional powersource.